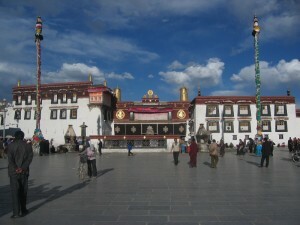 Located on Barkhor Square in Lhasa, the Monastery of Jokhang is considered one of the most sacred temples by the Tibetans. 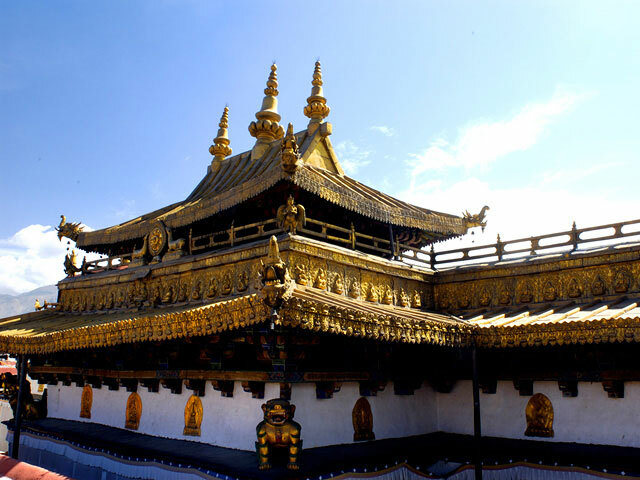 Founded in the reign of King Songsten Gampo, the name means “House of the Buddha”. 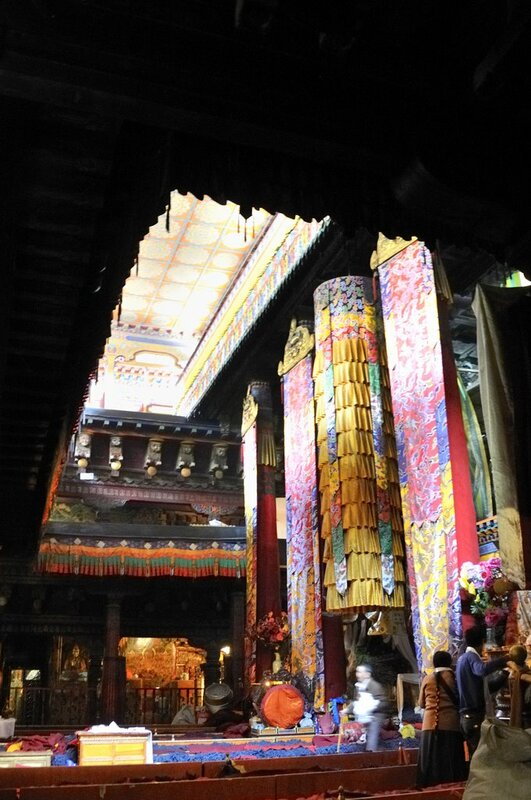 The temple was primarily built for the king’s two brides, Princess Wencheng and Princess Bhrikuti. 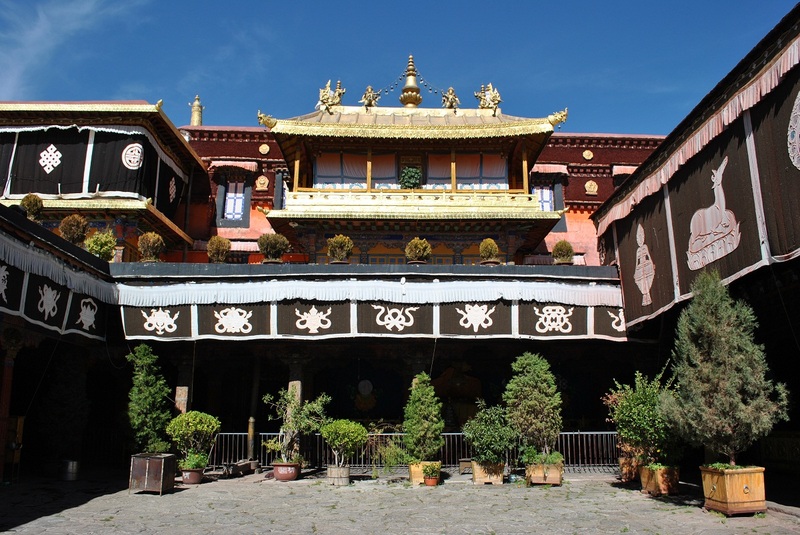 It housed several important Buddhist images and statues from China and Nepal, which the two brides had brought as part of their dowries. 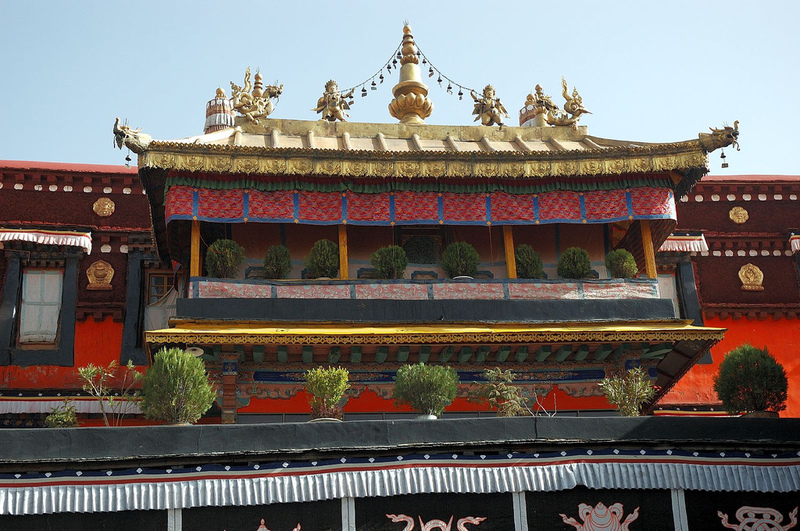 The temple exhibits a combination of Indian vihara, Nepalese and Chinese Tang Dynasty architectural designs. 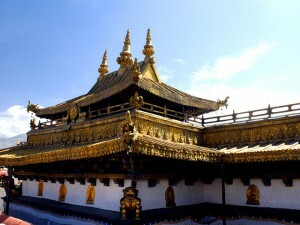 The massive structure of the temple consists of three floors and a gilded roof of bronze tiles. 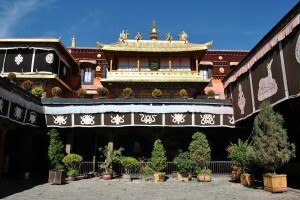 There are two statues of golden deer flanking the dharmachakra, located on the open rooftop. 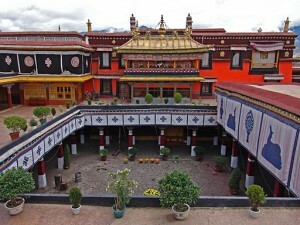 The entire complex covers an area of twenty-five thousand square meters. 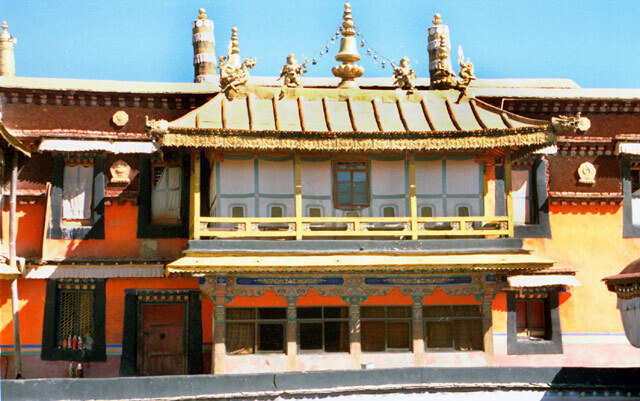 A wall encloses the front of the complex. The stumps of willows, contained within the enclosure, were planted by Queen Wen Ching at the time of its consecration. The willows are known as the Jowo Utra (‘Hair of the Jowo’). 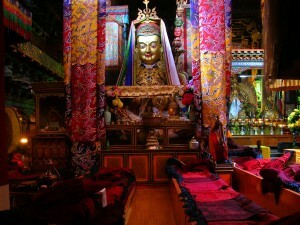 The interior of the temple features a labyrinth of chapels devoted to different gods and the Bodhisattvas. The dark and atmospheric inner section is illuminated with votive candles and filled with incense smoke. 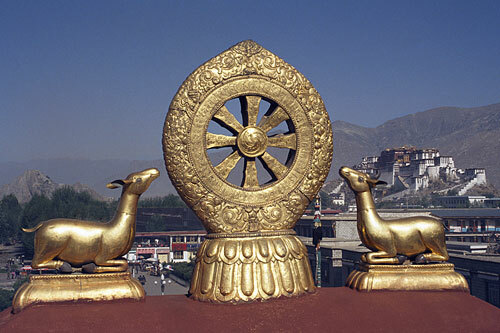 It had been sacked many times in history by the Mongols. 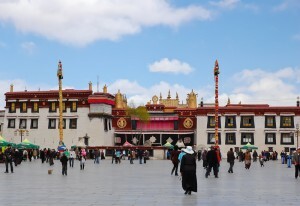 Moreover, the Red Guards desecrated the monastery in 1966, during the Great Proletarian Cultural Revolution. 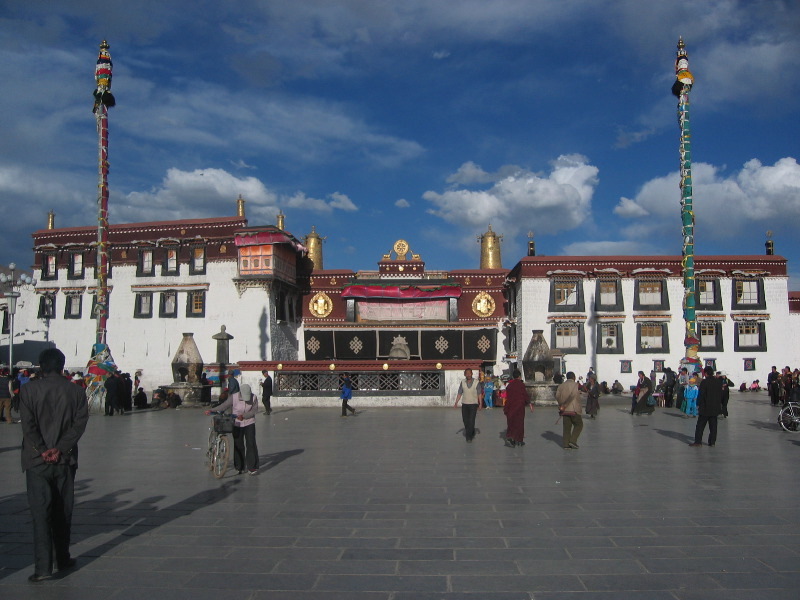 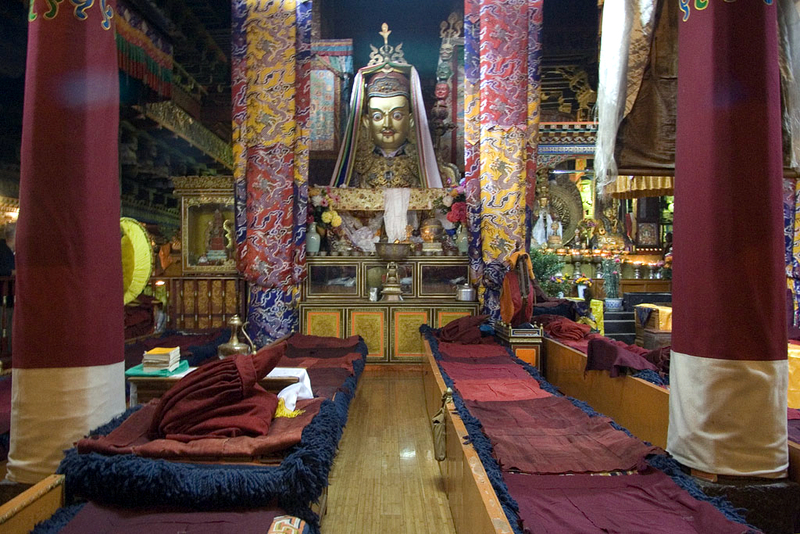 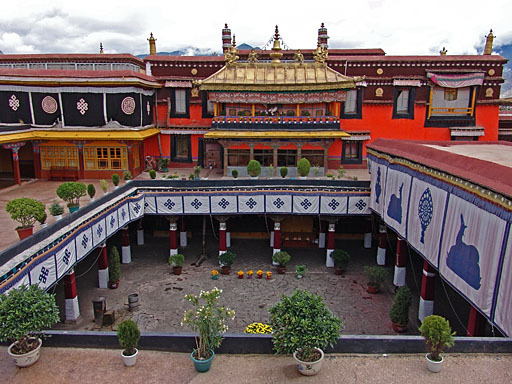 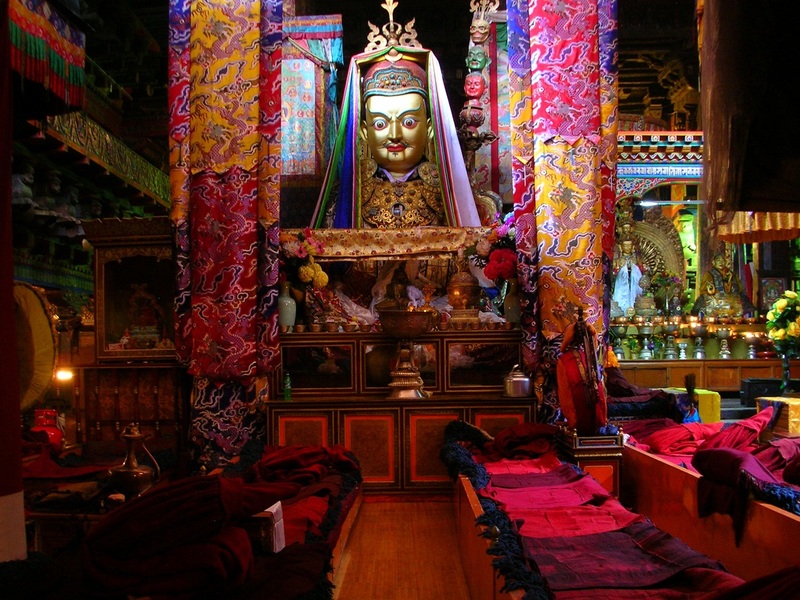 The temple was called Zuglagkang (House of Wisdom or House of Religious Science) during the Bon period in Tibet. 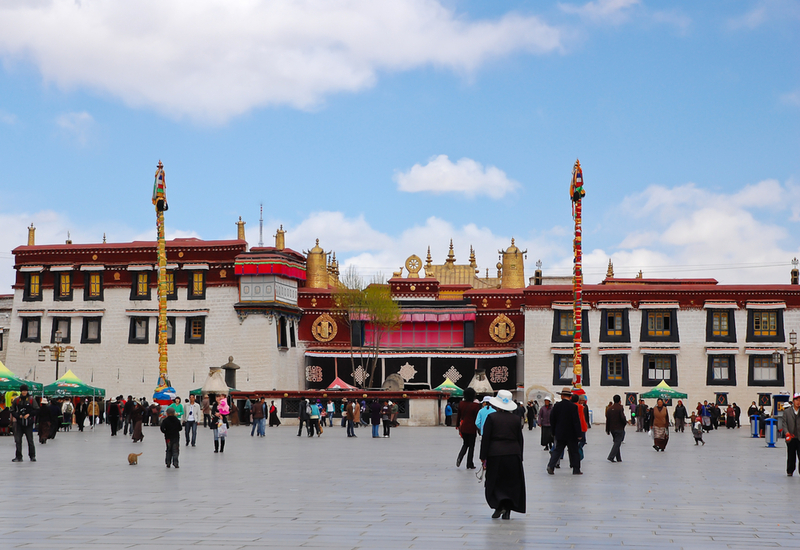 Now one of the UNESCO World Heritage Sites, the temple is a pivotal center of Buddhist pilgrimage and a famous tourist attraction in Lhasa.